Team Liquid and PFL team up, sharing common values and looking to boost brand awareness. Esports organization Team Liquid has struck up a partnership with Professional Fighters League (PFL), a competitive MMA outfit. Team Liquid and PFL have decided to boost their brand awareness through mutually-beneficial partnership. 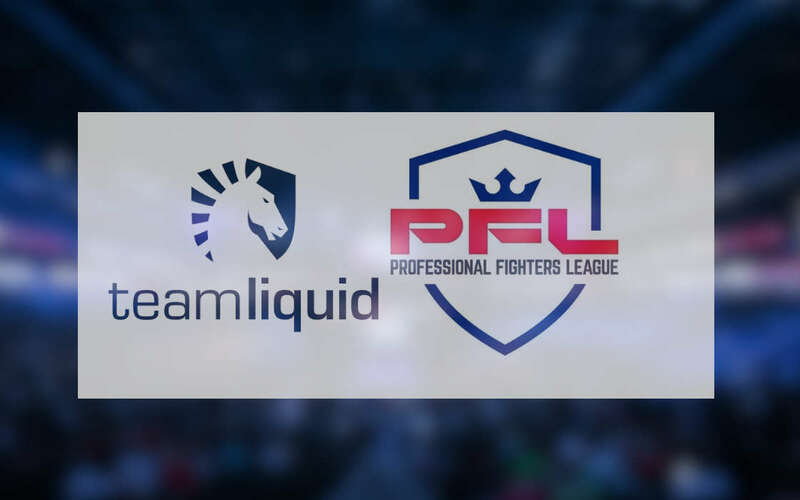 As a result of the tie-up between the esports and MMA outfit, Liquid’s athletes will become ambassadors for PFL, popularizing the fighting league among gamers. Russel “Twistzz” Van Dulken from Liquid’s CS:GO squad will pop quickly onto the ring on December 31 during the PFL Championship. While the partnership may not exactly strike as a perfect match, but the idea is not at all that bizarre. One Championship in Asia, a popular MMA league and event organizer, has decided to spearhead the esports segment, realizing full well the potential that the activity brings. ‘At Team Liquid, we seek out innovative partnerships that allow us to explore new spaces. I fell in love with MMA 15 years ago when I was a pro StarCraft player living in Seoul – I see a lot of the same core values between our organizations with a focus on entertainment, competitive sports format and athlete–first culture,’ Goossens said. Liquid pros and PFL top athletes to explore different ways to create entertainment and promotions for both fan bases,’ he concluded. PFL Co-founder and Chairman Donn Davis shared Mr. Goossens enthusiasm, arguing that sports were evolving and a new age had arrived. The PFL wants to learn from esports, Mr. Davis noted, mentioning the roll-out of an enhanced video system. Meanwhile, MMA athletes have been known for their gaming preferences. Michael Page walked out in a match doing a series of Fortnite dances holding an “Infinity Gauntlet” (from the Marvel franchise). Sean O’Malley was one of the latest recruits for OpTic Gaming’s Fortnite team and O’Malley is perfectly happy with that arrangement as he reportedly earns $4,500 a month through his participation in gaming (streams, tournaments, and more). Apparently, there is a link between the activities that is becoming even more pronounced as the esports industry carries on towards the multi-billion-worth threshold. Team Liquid and the MMA Professional Fighters League (PFL) have signed a partnership to work on brand awareness together. MMA and esports are growing close.